European Biotechnology Congress is the world’s leading conference for all professionals to gather and contribute their research. 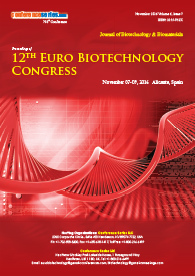 Euro Biotechnology offers over 24 sessions from different areas in the field of Biotechnology in the form of Keynote, Plenary and workshop sessions including oral and poster presentations. Euro Biotechnology Conferences which is going to be held in global city Zurich, Switzerland during October 21-22, 2019 will address fast growing technologies in the field of biotechnology with significant opportunities for Biotechnology Conferences. 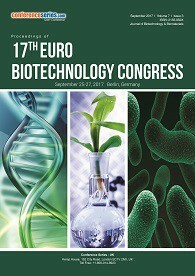 Euro Biotechnology Conferences will bring together practitioners, researchers, clinicians in a universal forum, enabling the exchange of novel advancement in the field of Biotechnology in both science and practice. Biotechnology Conferences 2019 is the best place to enhance networking and would provide opportunity to interact with world’s leading scientists and researchers. Pharmaceutical Biotechnology is the science that covers all technologies required for producing, manufacturing and registration of biological drugs. Pharmaceutical companies use biotechnology for manufacturing drugs, pharmacogenomics, gene therapy, and genetic testing. Biotech companies make biotechnology products by manipulating and modifying organisms, usually at molecular level. Pharmaceutical Biotechnology is an increasingly important area of science and technology. It contributes in design and delivery of new therapeutic drugs, diagnostic agents for medical tests, and in gene therapy for correcting the medical symptoms of hereditary diseases. The Pharmaceutical Biotechnology is widely spread, ranging from many ethical issues to changes in healthcare practices and a significant contribution to the development of national economy. Euro Biotechnology 2018 will focus on Biopharmaceuticals Discovery, Biopharmaceutical Regulations and Validations, Biologics and Biosimilars and Clinical Research/Clinical trials,Biotechnology Conferences. Spanish Society of Biotechnology, The Pharmaceutical Society of Ireland, Russian Medical Society, Society for Engineering in Agriculture, Society of Microbial Ecology and Disease, Manchester University Pharmaceutical Society, Italian Society of Biochemistry and Molecular Biology, European Society for Precision Engineering and Nanotechnology, Society for Chemical Engineering Biotechnology, Romanian Society of Medical Mycology and Mycotoxicology, New Zealand Plant Protection Society, International Society for Pharmaceutical Engineering, Pharmaceutical Society of Australia. Korean Society of Food Science And Technology, Pharmaceutical Society of Singapore, Korean Society of Gene and Cell Therapy, Pharmaceutical Society of Singapore, Indian Society of Nano science And Nanotechnology, Tanta Pharmaceutical Scientific Society (TPSS), Iran Society for Cell Biology, Israel Societies for Experimental Biology, Society for Industrial Microbiology and Biotechnology (SIMB), Malaysian Pharmaceutical Society, Japanese Society for Quantitative Biology, Society for Biotechnology. Microbial biotechnology, enabled by genome studies, will lead to breakthroughs such as improved vaccines and better disease-diagnostic tools, improved microbial agents for biological control of plant and animal pests, modifications of plant and animal pathogens for reduced virulence, development of new industrial catalysts and fermentation organisms, and development of new microbial agents for bioremediation of soil and water contaminated by agricultural runoff, Biotechnology Conferences. Related: Microbial | Biotechnology Conferences | Molecular Biology Conferences | Biotechnology Conferences 2018 | Biotechnology Conferences | Biotechnology Conferences 2018 USA | Biotechnology Congress | Biopharmaceutical Conferences | Biotechnology Conferences . 6th World Congress on Microbial Biotechnology June 17-18, 2019 Paris, France; 12th World Congress on Biotechnology World Congress on Microbiology June 28-29, 2018 Amsterdam, Netherlands; 14th International Conference on Microbial Interactions & Microbial Ecology August 19-20, 2019 Vienna, Austria; Pharma R&D March 04-06, 2019 Paris, France; 22nd Global Congress on Biotechnology February 28-March 02, 2019 Berlin, Germany; 14th International Conference on Microbial Interactions & Microbial Ecology August 19-20, 2019 Vienna, Austria; 22nd Global Congress on Biotechnology February 28-March 02, 2019 Berlin, German, 25th Asia Pacific Biotechnology Congress May 01-02, 2019, ANA Crowne Plaza Kyoto, Japan; 5th International Congress & Expo on Biotechnology and International Congress & Expo Bioengineering June 17-18, 2019 London, UK. Nano Biotechnology is a discipline in which tools from nanotechnology are developed and applied to study biological phenomena. Nano biotechnology, bio nanotechnology, and Nano biology are terms that refer to the intersection of nanotechnology and biology. Bio nanotechnology and Nano biotechnology serve as blanket terms for various related technologies. The most important objectives that are frequently found in Nano biology involve applying Nano tools to relevant medical/biological problems and refining these applications. Developing new tools, such as peptide Nano sheets, for medical and biological purposes is another primary objective in nanotechnology,Biotechnology Conferences. 30th World Nano Conference May 20-21, 2019 Zurich, Switzerland; 22nd Global Congress on Biotechnology February 28-March 02, 2019 Berlin, Germany; 29th International Conference on Nanomaterials and Nanotechnology April 25-26, 2019 Rome, Italy; 31st Nano Congress for Future Advancements August 29-31, 2019 London, UK, 25th Asia Pacific Biotechnology Congress May 01-02, 2019, ANA Crowne Plaza Kyoto, Japan; 5th International Congress & Expo on Biotechnology and International Congress & Expo Bioengineering June 17-18, 2019 London, UK. Stem cell biotechnology is a field of biotechnology that develops tools and therapeutics through modification and engineering of stem cells. Stem cell biotechnology is important in regenerative medicine. Regenerative medicine is an Inter disciplinary branch that tends to repair or regenerate damaged cells or tissues to regain or restore their normal function,Biotechnology Conferences. Related: Stem cell Conferences | Regenerative Medicine Conference | Biotechnology Conference | | Biotechnology Conferences 2018 | Biotechnology Conferences | Biotechnology Conferences 2018 USA | Biotechnology Congress | Biotechnology Conferences . 13th Annual Conference on Stem Cell & Regenerative Medicine March 07-09, 2019 Nice, France; 11th World Congress and Expo on Cell & Stem Cell Research March 25-26, 2019 Orlando, Florida, USA; 22nd Global Congress on Biotechnology February 28-March 02, 2019 Berlin, Germany; 9th International Conference and Exhibition on Advanced Cell and Gene Therapy March 21-22, 2019 Rome, Italy; 14th International Conference on Tissue Engineering & Regenerative Medicine April 25-27, 2019 Amsterdam, Netherlands, 25th Asia Pacific Biotechnology Congress May 01-02, 2019, ANA Crowne Plaza Kyoto, Japan; 5th International Congress & Expo on Biotechnology and International Congress & Expo Bioengineering June 17-18, 2019 London, UK. Medical Biotechnology is the use of living cells and cell materials to research and produce pharmaceutical and diagnostic products that help treat and prevent human diseases. 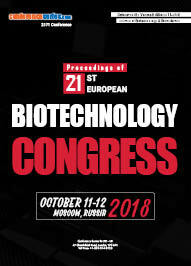 leading to the development of several innovative techniques for preventing, diagnosing, and treating diseases, Biotechnology Conferences. Related: Medical Biotechnology Conferences | Biotechnology Conference | Regenerative conferences | Biotechnology Conferences 2018 | Biotechnology Conferences | Biotechnology Conferences 2018 USA | Biotechnology Congress | Biotechnology Conferences. 12th World Conference on Human Genomics and Genomic Medicine April 22-23, 2019 Abu Dhabi, UAE; 21st Annual European Pharma Congress May 20-22, 2019 Zurich, Switzerland ; 23rd International Conference on Pharmaceutical Biotechnology December 10-11, 2018 Rome, Italy ; 18th World Pharma Congress March 18-20, 2019 Edinburgh, Scotland; 18th World Pharma Congress October 18-20, 2018 Warsaw, Poland ; Annual European Pharma Congress May 20-21, 2019 Zurich, Switzerland ; Pharma Serialisation Summit June 19-21, 2018 Zurich, Switzerland ; European Congress on Pharma August 13-14 , 2018 Paris, France ; Pharma R&D March 04-06, 2019 Paris, France ; 2nd International Conference on Pharmaceutical Research & Innovations in Pharma Industry May 30-31, 2019 Orlando, Florida, USA; 25th Asia Pacific Biotechnology Congress May 01-02, 2019, ANA Crowne Plaza Kyoto, Japan; 5th International Congress & Expo on Biotechnology and International Congress & Expo Bioengineering June 17-18, 2019 London, UK. Oncolytic Biotechnology is the study of oncolytic virus, the virus that preferentially infects and kills cancer cells. As the infected cancer cells are destroyed by oncolysis, they release new infectious virus particles or virions to help destroy the remaining tumour. Oncolytic viruses are thought not only to cause direct destruction of the tumour cells, but also to stimulate host anti-tumour immune responses, Biotechnology Conferences. Related: Cancer Biotechnology Conferences | Biotechnology Conference | Regenerative conferences | Biotechnology Conferences 2018 | Biotechnology Conferences | Biotechnology Conferences 2018 USA | Biotechnology Congress | Biotechnology Conferences . 6th Edition of World Congress on Cancer Research August 22-23, 2019 Tokyo, Japan; 22nd Global Congress on Biotechnology February 28-March 02, 2019 Berlin, Germany; 22nd World Congress on Biotechnology November 19-20, 2018 Bangkok, Thailand; 25th Asia Pacific Biotechnology Congress May 01-02, 2019, ANA Crowne Plaza Kyoto, Japan; 5th International Congress & Expo on Biotechnology and International Congress & Expo Bioengineering June 17-18, 2019 London, UK. Genetics and Molecular biotechnology is the use of laboratory techniques to study and modify nucleic acids and proteins for applications in areas such as human and animal health, agriculture, and the environment. Molecular biotechnology results from the convergence of many areas of research, such as molecular biology, microbiology, biochemistry, immunology, genetics, and cell biology. It is an exciting field fueled by the ability to transfer genetic information between organisms with the goal of understanding important biological processes or creating a useful product. The tools of molecular biotechnology can be applied to develop and improve drugs, vaccines, therapies, and diagnostic tests that will improve human and animal health. Molecular biotechnology has applications in plant and animal agriculture, aquaculture, chemical and textile manufacturing, forestry, and food processing, Biotechnology Conferences. 6th World Congress on Human Genetics and Genetic Diseases April 08-09, 2019 Abu Dhabi, UAE; 2nd World Congress on Genetics & Genetic Disorders May 13-14, 2019 Stockholm, Sweden; 22nd Global Congress on Biotechnology February 28-March 02, 2019 Berlin, Germany; 22nd World Congress on Biotechnology November 19-20, 2018 Bangkok, Thailand; 21st Annual European Pharma Congress May 20-22, 2019 Zurich, Switzerland ; 23rd International Conference on Pharmaceutical Biotechnology December 10-11, 2018 Rome, Italy; 25th Asia Pacific Biotechnology Congress May 01-02, 2019, ANA Crowne Plaza Kyoto, Japan; 5th International Congress & Expo on Biotechnology and International Congress & Expo Bioengineering June 17-18, 2019 London, UK. Environment biotechnology is applied and used to study the natural environment. Environmental biotechnology could also imply that one try to harness biological process for commercial uses and exploitation. It is "the development, use and regulation of biological systems for remediation of contaminated environment and for environment-friendly processes (green manufacturing technologies and sustainable development). Environmental biotechnology can simply be described as the optimal use of nature, in the form of plants, animals, bacteria, fungi and algae, to produce renewable energy, food and nutrients in a synergistic integrated cycle of profit making processes where the waste of each process becomes the feedstock for another process, Biotechnology Conferences. March 21-22, 2019 Dubai, UAE; 2nd World Conference on Soil Microbiology, Ecology and Biochemistry February 25-26, 2019 London, UK; 12th World Congress and Expo on Recycling April 01-02, 2019 Paris, France; 7th World Congress on Earth and Environmental Science August 21-22, 2019 Singapore; 22nd Global Congress on Biotechnology February 28-March 02, 2019 Berlin, Germany; 22nd World Congress on Biotechnology November 19-20, 2018 Bangkok, Thailand; 25th Asia Pacific Biotechnology Congress May 01-02, 2019, ANA Crowne Plaza Kyoto, Japan; 5th International Congress & Expo on Biotechnology and International Congress & Expo Bioengineering June 17-18, 2019 London, UK. Plant Biotechnology is a set of techniques used to adapt plants for specific needs or opportunities. Situations that combine multiple needs and opportunities are common, it is prominent in the field of medicine interfacing biotechnology and bioinformatics, the molecular characterization of medicinal plants; molecular farming; and result from chemistry, nanotechnology, pharmacology, agriculture, Biomass and biofuels as well. Plant Biotechnology is the technology which is used for getting modern product with high yield and at faster rate. Biotechnology is being used as a tool to grow trees with special characteristics. When used responsibly, society and the environment can benefit from advanced tree breeding technologies,Biotechnology Conferences. World congress on Plant Pathology & Plant Biotechnology September 24- 25, 2018 Dallas, USA; Agriculture & Horticulture April 08-09, 2019 Prague, Czech Republic; 6th Global Summit on Plant Science October 29-30, 2018 Valencia, Spain; International Association For Plant Biotechnology Congress August 19-24, 2018 Dublin, Ireland ; Plant Metabolic Engineering Jun 15-16, 2019 Lucca (Barga), Italy. 6th Asia Pacific Biotechnology Congress August 15-16, 2018 Singapore; 22nd World Congress on Biotechnology July 10-11, 2018 Bangkok, Thailand; 22nd Global Congress on Biotechnology February 28-March 02, 2019 Berlin, Germany; 22nd World Congress on Biotechnology November 19-20, 2018 Bangkok, Thailand; 25th Asia Pacific Biotechnology Congress May 01-02, 2019, ANA Crowne Plaza Kyoto, Japan; 5th International Congress & Expo on Biotechnology and International Congress & Expo Bioengineering June 17-18, 2019 London, UK. Modern biotechnology can play an important role in meeting our future food demands in a sustainable manner. Biotech can increase crop yields, help develop new crops, and adapt existing crops to be cultivated on marginal lands with reduced fresh-water inputs. The technology may not only improve the nutritional quality of staple foods, but can also diminish the need to cultivate crops on deforested land. Rapid advances in biotechnology are reducing the time and cost to develop improved food and feed strains and to engineer crops with improved drought and salinity tolerance and improved nutritional quality. New biotechnology tools enable scientists to introduce biochemical pathways to cells so we can breed plants that are safe and cost-effective sources of these nutrients, Biotechnology Conferences. 22nd Global Congress on Biotechnology February 28-March 02, 2019 Berlin, Germany; 22nd World Congress on Biotechnology November 19-20, 2018 Bangkok, Thailand; 23rd International Conference on Food Technology & Processing October 07-08, 2019 Dublin, Ireland; 3rd EuroSciCon Conference on Food Technology April 22-24, 2019 Wyndham Grand Athens, Greece; 2nd International Conference on Nutrition Food Science and Technology April 08-09, 2019 Abu Dhabi, UAE; 25th Asia Pacific Biotechnology Congress May 01-02, 2019, ANA Crowne Plaza Kyoto, Japan; 5th International Congress & Expo on Biotechnology and International Congress & Expo Bioengineering June 17-18, 2019 London, UK. Marine biotechnology, sometimes referred to as “blue biotechnology”, exploits the diversity found in marine environments in terms of the form, structure, physiology and chemistry of marine organisms, many of which have no equivalent on land, in ways which enable new materials to be realised. Marine biotechnology is a knowledge generation and conversion process: it unlocks access to biological compounds and provides novel uses for them. By exploring and harnessing marine materials, entirely new uses in areas far from the marine are likely to be found. 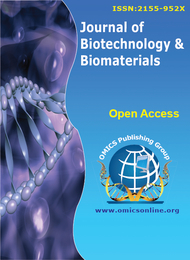 Marine biotechnology is an opportunity recognised by policy makers and the enterprise sector as offering significant potential to fill market gaps for new products, Biotechnology Conferences. Animal biotechnology is a branch of biotechnology in which molecular biology techniques are used to genetically engineer (i.e. modify the genome of) animals in order to improve their suitability for pharmaceutical, agricultural or industrial applications. It covers the identification and manipulation of genes and their products, stressing applications in domesticated animals. Animal biotechnology has been used to produce genetically modified animals that synthesize therapeutic proteins, have improved growth rates or are resistant to disease, Biotechnology Conferences. Protein engineering has emerged as an important tool to overcome the limitations of natural enzymes as biocatalysts. Recent advances have mainly focused on applying directed evolution to enzymes, especially important for organic synthesis, such as monooxygenases, ketoreductases, lipases or aldolases in order to improve their activity, enantioselectivity, and stability. The combination of directed evolution and rational protein design using computational tools is becoming increasingly important in order to explore enzyme sequence-space and to create improved or novel enzymes, Biotechnology Conferences. 5th International Conference on Enzymology and Protein Chemistry February 28-March 01, 2019 Berlin, Germany; 2nd Congress on Enzymology and Molecular Biology March 21-22, 2019 Amsterdam, Netherlands; 4th International Conference on Enzymology & Molecular Biology May 10-11, 2019 Tokyo, Japan; 22nd Global Congress on Biotechnology February 28-March 02, 2019 Berlin, Germany; 22nd World Congress on Biotechnology November 19-20, 2018 Bangkok, Thailand; 25th Asia Pacific Biotechnology Congress May 01-02, 2019, ANA Crowne Plaza Kyoto, Japan; 5th International Congress & Expo on Biotechnology and International Congress & Expo Bioengineering June 17-18, 2019 London, UK. Agricultural biotechnology is an area of agricultural science involving the use of scientific tools and techniques, including genetic engineering, molecular markers, molecular diagnostics, vaccines, and tissue culture, to modify living organisms: plants, animals, and microorganisms. Crop biotechnology is one aspect of agricultural biotechnology which has been greatly developed upon in recent times. Desired trait is exported from a particular species of Crop to an entirely different species. These transgene crops possess desirable characteristics in terms of flavour, colour of flowers, growth rate, size of harvested products and resistance to diseases and pests, Biotechnology Conferences. 13th International Conference on Agriculture and Plant Science January 28-29, 2019 Osaka, Japan; 5th International Conference on Enzymology and Protein Chemistry February 28-March 01, 2019 Berlin, Germany; 2nd Congress on Enzymology and Molecular Biology March 21-22, 2019 Amsterdam, Netherlands; 4th International Conference on Enzymology & Molecular Biology May 10-11, 2019 Tokyo, Japan; 22nd Global Congress on Biotechnology February 28-March 02, 2019 Berlin, Germany; 22nd World Congress on Biotechnology November 19-20, 2018 Bangkok, Thailand; 25th Asia Pacific Biotechnology Congress May 01-02, 2019, ANA Crowne Plaza Kyoto, Japan; 5th International Congress & Expo on Biotechnology and International Congress & Expo Bioengineering June 17-18, 2019 London, UK. Biomedical engineering is the application of engineering principles and design concepts to medicine and biology for healthcare purposes (e.g. diagnostic or therapeutic). This field seeks to close the gap between engineering and medicine, combining the design and problem solving skills of engineering with medical biological sciences to advance health care treatment, including diagnosis, monitoring, and therapy. Biomedical engineering has only recently emerged as its own study, as compared to many other engineering fields. Such an evolution is common as a new field transitions from being an interdisciplinary specialization among already-established fields, to being considered a field in itself. 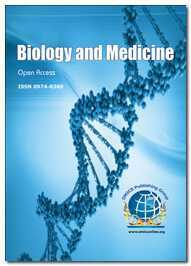 Much of the work in biomedical engineering consists of research and development, spanning a broad array of subfields, Biotechnology Conferences. The dental world will live in ten years more changes than 130 years of practice.The arrival of digital combined with the generalization of successful surgical techniques such as implantology, the ever more relevant information of patients, the economic crisis: all these factors tend to modify the exercise habits of the usual actors of the dental world, prosthetists and dentists. Biotech Dental has contributed to the democratization of implantology, the use of new aesthetic products and services and finally the introduction of new digital technologies. The distribution of Biotech Dental products have an extensive presence in most of the world. This international situation gives us the opportunity to meet the expectations and requirements of surgeons and practitioners from different cultures and backgrounds, Biotechnology Conferences. 3rd World Biotechnology Congress Dec 03-04, 2018 Sao Paulo, Brazil; 22nd Global Congress on Biotechnology February 28-March 02, 2019 Berlin, Germany; 22nd World Congress on Biotechnology November 19-20, 2018 Bangkok, Thailand; ; 21st Annual European Pharma Congress May 20-22, 2019 Zurich, Switzerland ; 23rd International Conference on Pharmaceutical Biotechnology December 10-11, 2018 Rome, Italy ; 14th International Conference on Tissue Engineering & Regenerative Medicine April 25-27, 2019 Amsterdam, Netherlands; 25th Asia Pacific Biotechnology Congress May 01-02, 2019, ANA Crowne Plaza Kyoto, Japan; 5th International Congress & Expo on Biotechnology and International Congress & Expo Bioengineering June 17-18, 2019 London, UK. Academy for Sports Dentistry (ASD), Academy of Computerized Dentistry of North American (ACDNA), Academy of Dental Materials (ADM), Academy of Dental Sleep Medicine (ADSM), Academy of Dentistry International (ADI), Academy of General Dentistry (AGD), Academy of GP Orthodontics (AGpO), Academy of Laser Dentistry (ALD), Academy of Latter-day Saint Dentists, Academy of Operative Dentistry, Academy of Oral Surgery - Chalmers J. Lyons, Academy of Osseointegration (AO), Academy of Prosthodontics (AP). A biomaterial is a substance that has been designed to act with biological systems for a medical purpose - either a therapeutic (treat, augment, repair or replace a tissue perform of the body) or a diagnostic one. It’s experienced steady and robust growth over its history, with several firms finance massive amounts of cash into the event of latest product. Biomaterials science encompasses components of medication, biology, chemistry, tissue engineering and materials science. They're usually used and/or custom-made for a medical application, and therefore contain whole or a part of a living structure or medical specialty device that performs, augments, or replaces a natural perform. Such functions are also comparatively passive, like being employed for a heart valve, or could also is bioactive with an additional interactive practicality like hydroxyl-apatite coated hip implants. Biomaterials also are used on a daily basis in dental applications, surgery, and drug delivery, Biotechnology Conferences. 13th Annual Conference on Stem Cell & Regenerative Medicine March 07-09, 2019 Nice, France; 11th World Congress and Expo on Cell & Stem Cell Research March 25-26, 2019 Orlando, Florida, USA; 22nd Global Congress on Biotechnology February 28-March 02, 2019 Berlin, Germany; 9th International Conference and Exhibition on Advanced Cell and Gene Therapy March 21-22, 2019 Rome, Italy; 14th International Conference on Tissue Engineering & Regenerative Medicine April 25-27, 2019 Amsterdam, Netherlands; 22nd Global Congress on Biotechnology February 28-March 02, 2019 Berlin, Germany; 22nd World Congress on Biotechnology November 19-20, 2018 Bangkok, Thailand; 25th Asia Pacific Biotechnology Congress May 01-02, 2019, ANA Crowne Plaza Kyoto, Japan; 5th International Congress & Expo on Biotechnology and International Congress & Expo Bioengineering June 17-18, 2019 London, UK. Bioinformatics and Computational biology is an interdisciplinary field that develops and applies computational methods to analyse large collections of biological data, such as genetic sequences, cell populations or protein samples, to make new predictions or discover new biology. The computational methods used include analytical methods, mathematical modelling and simulation,Biotechnology Conferences. 22nd Global Congress on Biotechnology February 28-March 02, 2019 Berlin, Germany; 22nd World Congress on Biotechnology November 19-20, 2018 Bangkok, Thailand; 21st Annual European Pharma Congress May 20-22, 2019 Zurich, Switzerland ; 23rd International Conference on Pharmaceutical Biotechnology December 10-11, 2018 Rome, Italy ; 14th International Conference on Tissue Engineering & Regenerative Medicine April 25-27, 2019 Amsterdam, Netherlands; 25th Asia Pacific Biotechnology Congress May 01-02, 2019, ANA Crowne Plaza Kyoto, Japan; 5th International Congress & Expo on Biotechnology and International Congress & Expo Bioengineering June 17-18, 2019 London, UK. Biotechnology has application in four major industrial areas, including health care (medical), crop production and agriculture, nonfood (industrial) uses of crops and other products (e.g. biodegradable plastics, vegetable oil, biofuels), and environmental uses. 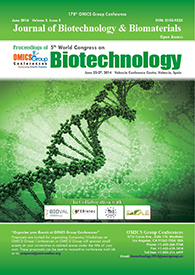 Applied Microbiology and Biotechnology focusses on prokaryotic or eukaryotic cells, relevant enzymes and proteins, applied genetics and molecular biotechnology, genomics and proteomics, applied microbial and cell physiology, environmental biotechnology, process and products and more,Biotechnology Conferences. 3rd World Biotechnology Congress Dec 03-04, 2018 Sao Paulo, Brazil; 22nd Global Congress on Biotechnology February 28-March 02, 2019 Berlin, Germany; 22nd World Congress on Biotechnology November 19-20, 2018 Bangkok, Thailand; ; 21st Annual European Pharma Congress May 20-22, 2019 Zurich, Switzerland ; 23rd International Conference on Pharmaceutical Biotechnology December 10-11, 2018 Rome, Italy ; 14th International Conference on Tissue Engineering & Regenerative Medicine April 25-27, 2019 Amsterdam, Netherlands, 25th Asia Pacific Biotechnology Congress May 01-02, 2019, ANA Crowne Plaza Kyoto, Japan; 5th International Congress & Expo on Biotechnology and International Congress & Expo Bioengineering June 17-18, 2019 London, UK. A bioprocess is a specific process that uses complete living cells or their components to obtain desired products. Transport of energy and mass is fundamental to many biological and environmental processes. Areas, from food processing to thermal design of building to biomedical devices to pollution control and global warming, require knowledge of how energy and mass can be transported through materials,Biotechnology Conferences. Biodegradation is the biological process in which a material is biologically degraded. It is a natural process that takes place without human intervention. Bioremediation is the engineered process of application of biological means (including bacteria, algae, fungi, etc.) to degrade a material. Biodegradation is a slow process process, while bioremediation is a faster process. Human intervention is used to control the rate of bioremediation, by control of temperature, availability of food or nutrients, etc. Biodegradation, on the other hand, is controlled by nature. Biodegradation takes place anywhere and everywhere, while bioremediation is planned at a contaminated site. 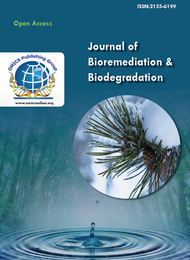 Biodegradation can be both beneficial and harmful (such as degradation of metals in biofouling), while bioremediation is designed to be beneficial to us, Biotechnology Conferences. Biotechnology has the ability to solve the upcoming problems of the world’s increasing population. However, there is often reluctance among the public to accept and support biotechnological products in medicine, industry, or agriculture. There are many safety and ethical issues raised for GM crops and human cloning. Raising transgenic animals and plants has fueled ethical concerns, and the scientists have faced a lot of resistance where genetically modified crop plants or reproductive cloning research of human beings is involved. Thus, biosafety and bioethics are continuously being expanded to combine the rationale of ever-increasing scientific knowledge in biotechnology that is often in conflict with the long-standing social and moral value system of our society, Biotechnology Conferences. Industrial biotechnology is that the application of biotechnology for industrial functions, together with industrial fermentation. The observe of exploitation cells like micro-organisms, or elements of cells like enzymes, to come up with industrially helpful product in sectors like chemicals, food and feed, detergents, paper and pulp, textiles and biofuels. Industrial Biotechnology offers a premier forum bridging basic analysis and R&D with later-stage development for sustainable bio based mostly industrial and environmental applications, Biotechnology Conferences. Conference Series LLC takes a great pride in announcing the “21st European Biotechnology congress” (Euro Biotechnology 2018) which was held in Moscow, Russia during 11-12 October, 2018. The conference was embarked with an opening ceremony followed by a series of lectures delivered by both Honourable Guests and members of the Keynote forum. The highlights of the conference were the keynote forum by Vladimir P Torchilin, USA; Sergey Suchkov, Russia; Igor l Katkov, Russia; gave their fruitful contributions in the form of highly informative presentations and made the conference a top notch one. Conference Series LLC, on behalf of the conference, congratulates the Best poster awardees (Monika Chovanova ) for their outstanding performance in the field of Biotechnology and appreciates all the participants who put their efforts in poster presentations and sincerely wishes them success in future endeavours. Conference Series LLC 21st European Biotechnology Congress (Biotechnology Conferences) Meet would not have reached the pinnacle if not with the support of International, multi-professional steering committee and coordination of the Journal of Biotechnology & Biomaterials, Journal of Biology and Medicine and Journal of Bioremediation & Biodegradation; hence, we express our deep sense of gratitude. After the successful completion of Euro Biotechnology 2018 we are glad to announce our next upcoming conference which is going to be held in Zurich, Switzerland. “23rd European Biotechnology 2019 which is going to be held during September 09-10, 2019 in Zurich, Switzerland.